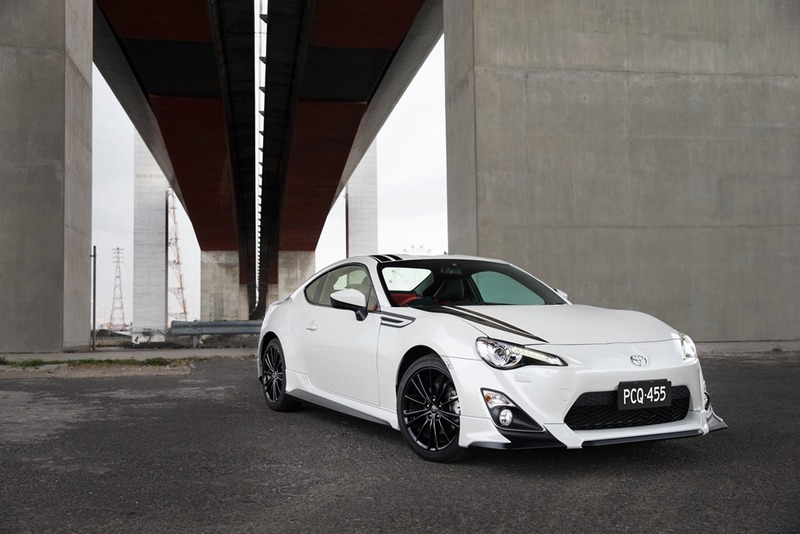 According to Toyota, 86 is the bestselling sports car in Australia and quite right too. It isn’t perfect, but the imperfections are infinitesimal compared to the bliss of the drive experience. There is a makeover on the way so the first of the “special” models is a welcome distraction until then. 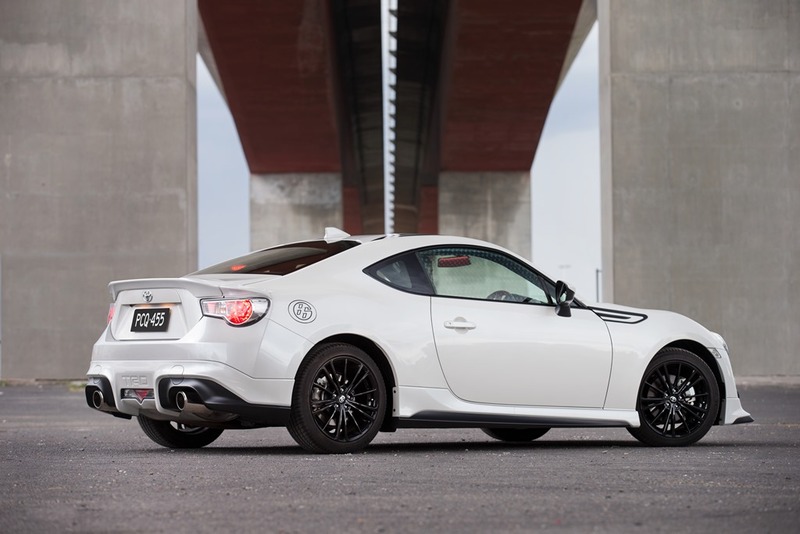 Mechanically identical to a regular 86, the Blackline has auto levelling headlights, 17” wheels, black bonnet stripes, and a body kit on the outside, and red highlights on the inside. The tiny steering wheel with partial red leather, and Alcantara seating, make the red highlights look really special. Recently, I asked Subaru whether this engine had a turbo anywhere in the world in the 86/BRZ, or any other car. They said no, with no possibility in the future. The makeover will bring a few extra kw but that’s about it. The infotainment system will also get a welcome upgrade which hopefully will bring steering wheel buttons among other innovations. The current unit has on-screen buttons which are simply too small. There is no Appale Carplay/Android Auto earning many “tsk-tsks”. BRZ has steering wheel buttons and a much nicer audio unit so who knows. 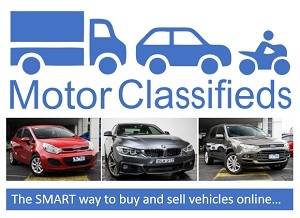 There are only 450 Blacklines with 250 manuals priced from $37,990 and 200 automatics priced from $40,490. 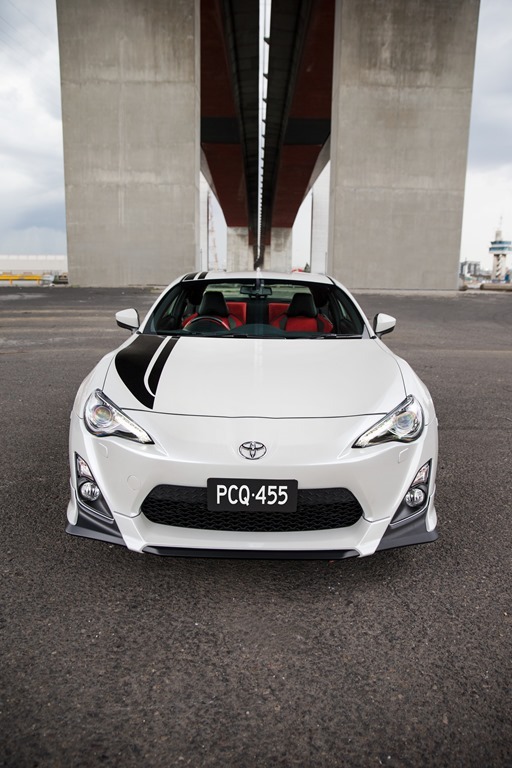 The TRD sourced cosmetic upgrades add an aggressive touch to an already pretty face. However, parking nose-in is going to need extra care if the extra low spoiler is to be kept off th e footpath. There is a lot to like about the 86. Fabulously precise steering, a nice tight body, and a truly delicious gearshift make the 86 feel like a much more expensive sports car. It’s been my personal favourite since release, and after the short-lived Pro Ceed GT exited the market, 86 has no competition unless of course you prefer the Subaru colour palette and options in the identical BRZ. I thoroughly enjoy the 86 every time I step into it and assume I always will, at least while I can get down into it.